The real estate industry is varied and complex, comprising the related yet individually unique areas of brokerage, development, property management, investment, syndication, title transfer, financing, land use, and preservation. At Trout, Ebersole & Groff, LLP, we have over 80 years of experience in meeting the accounting, tax, and financial planning needs of real estate industry professionals. In addition, we routinely assist clients not normally involved in the real estate industry to maximize the benefits they derive from the real estate transactions in which they become involved. Whether your company is involved in brokerage, investment, development, syndication, management, financing, leasing, land use planning, title transfer, or commercial mortgage financing, Trout, Ebersole & Groff, LLP has the expertise to help maximize your business success and increase your personal wealth. Our commitment to you is to provide knowledgeable, personal, value-added services that will help you move ahead in the real estate industry or anywhere else you might go. 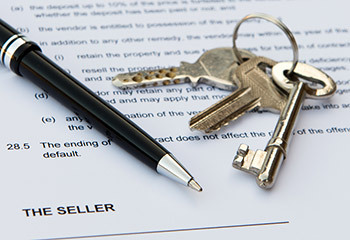 At Trout, Ebersole & Groff, LLP, we know the real estate industry! For additional information, please click the button below.